Businesses like Starbucks, Google, Walmart have known the power of brands for many years. More recently branding has spread to celebrities—think Oprah, Trump, Bono, Tiger Woods. And branding can make a giant difference to your nonprofit or cause. Some think brand is the logo. And it is. But it’s also the name, design, color, font. And it’s your website, printed materials, how you are portrayed in the media, how supporters talk about you to their friends. It’s how someone sees you in a hundred ways, their entire experience of your organization. (see brand as place). It’s everything a customer or supporter feels about you and your products and services. It’s up to you to create and manage the brand so it works in your favor. And it’s worth obsessing over! The lifeblood of your cause is that important supporter. Ideally, they’d pay attention if you simply told them of a need or something wonderful you’ve done. Yet every day literally thousands of messages fight for the attention of that same person you want to reach. How do you get through the clutter? How do you emotionally connect with that potential partner? An established positive brand serves as a shortcut. Like the aroma of baking, your brand can signal to your supporter a good feeling and help them focus on your message. Define Your Brand—What Makes You Unique? Start with a clear brand identity or position. What your organization’s essence, core, values? Of course, you’ve got to be doing something people want. Something relevant. If you’re not, go home and rethink your life. But assuming you’re doing something valuable, what makes it unique? What’s your niche? If you’re not different, why should anyone care about you? It may take time, but to define your brand, you’ve got to be able to answer these questions. Again, what is that core thing that only your group does? Try to create a new category, something only you do, and focus on that. Keep your brand simple, singular. Don’t try to develop more than one brand. Consistency. Then keep focused over time. You don’t develop a serious relationship with someone you just met. It takes time to know each other, learn whether they’re trustworthy, fun or authentic. The same is true for your organization. Brands take time—years—to develop. Once you’ve developed your brand identity, let it permeate every object, every event, every message. You may even get tired of it. But you’re not the audience. Your brand has to be authentic. You have to be truly what you say you are, practice what you preach. Be transparent. And you’ve got to be relevant to your supporters. You’ve got to be doing something they want done. Find a way to stand out. When it comes to competing for attention, mediocrity is the ultimate defeat. Find a way to be remembered, preferably related to how you operate. Girl Scouts send a couple million kids out to sell cookies. The hammer-wielding volunteer brands habitat, while Greenpeace fights high-drama battles against environment wrecking Goliaths. 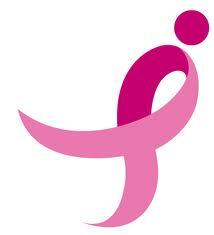 Nevertheless, for many the name Komen, still carries positive emotional power. When you hit a setback, simply get up, learn the lessons and get moving again. Brands are built over years. Use branding principles, your logo and name consistently to make the most cost-effective impression in order to raise the most public awareness and funds possible with its limited funds. With the help of a coordinated effort, your group can become becoming a “household name” in your market. Finally, you can’t make your brand be something you’re not. You’ll read that it should delight, clarify, be short, simple, reassure, connect. In the end, your group has to do these things in the real world. You’ve got to provide excellent service over time. Be the best.